Over the weekend, the royals spent some quality off-duty family time at Burnham Market Horse Trials in Norfolk. The young Cambridges and the Tindalls were seen playing on the dodgems and running around the country fields as their parents watched on in suitable county attire, with Prince William channelling his inner Peaky Blinder in a wool newsboy cap. And as it's not often that we get a sighting of the royal children or the whole family for that matter enjoying some time away from their duties, we were surprised to see how grown up Prince George looks. The young royals enjoying a day at the trials. The third in line to the British throne will turn six this July. 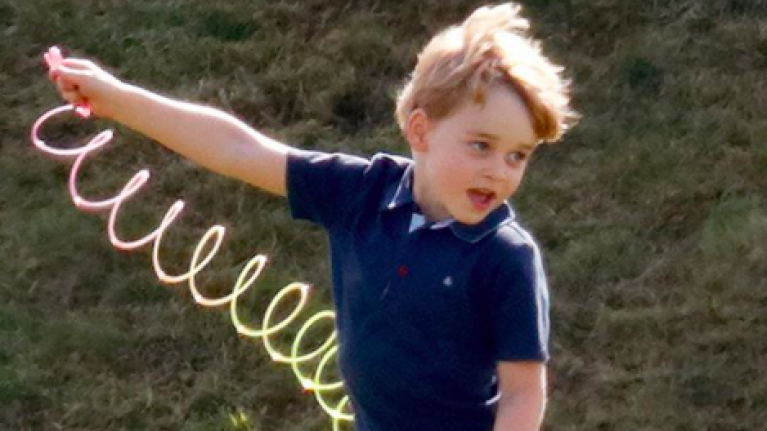 His sister, Charlotte, was too present on the family fun day however, there was no sighting of little Prince Louis. And as the Cambridge family enjoy a day outdoors, it looks like the Duke and Duchess of Sussex are staying indoors with many fans speculating that Meghan has given birth. It began this week with the announcement this week that Meghan and Harry will be keeping the birth private. In a statement, the palace confirmed that Meghan wouldn't appear in public photocall hours after baby's arrival, unlike Kate Middleton. This means likely that we won't know about it until after it happens. Add to that the fact that Meghan hasn't been seen in public for almost a month and royal fans are super suspicious. A source told Australian publication New Idea earlier this month that even those close to the royal family think Baby Sussex might already be here. "There’s all sorts of talk in royal circles that Meghan and Harry have already had the baby,” the source told the magazine. It is plausible but surely a secret like that would be impossible to keep from leaking?